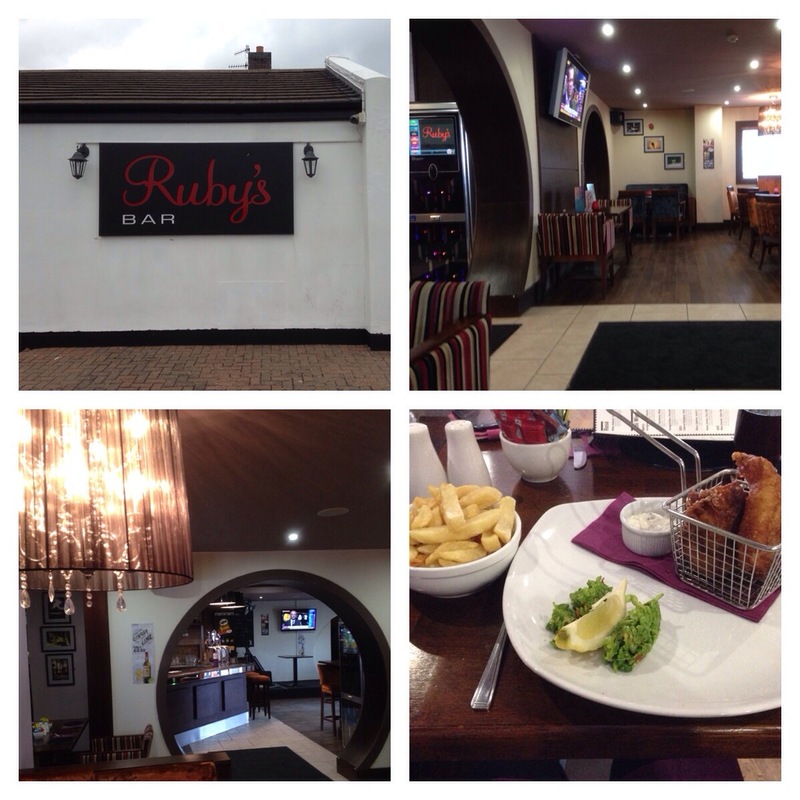 The BFM has just finished his contract in Larne,and as a treat the girls treated me to lunch at Ruby’s. So we all pre ordered and only had a wee wait at the restaurant. I was reliably informed that it had been done up and doubled as a sports bar and club also. I had Cod and chips which was fantastic. There were two pieces of cod well battered and fried to perfection and served in a mini frying basket, minted peas, tartare sauce, wedge if lemon and bowl of chips. I wasn’t allowed to pay so don’t know how much. Suffice to say the restaurant was great,service fabulous,food amazing,will definitely try it again!! !